Launched by the design house of Bvlgari in the year 2010. This leather fragrance has a blend of amber, spices, woods, natural rum, luminous spices, tuberose, iris absolut, tonka bean, and guaiac wood notes. A unique sensual signature, a new statement of masculinity. Bvlgari Fragrances Introduced in 1994. AromaCraze.com features dozens of options for Bvlgari perfume For Women or Bvlgari cologne For Men. 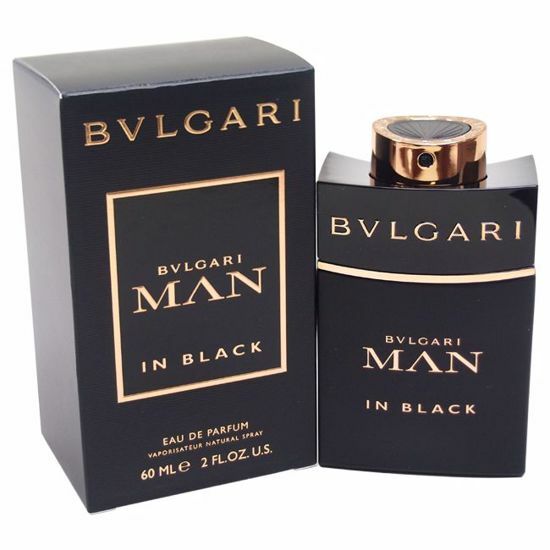 We have a huge selection of Bvlgari Perfumes for her, Bvlgari Cologne for him & Eau De Perfume, Eau DE Toilette, Unisex Fragrances & Bvlgari Gift Sets and More. Bvlgari fragrance Line Includes :Bulgari Perfume, Bvlgari Black, Bvlgari Blv, Blv Absolute, Bvlgari Blv Notte, Bvlgari Eau Perfumee (Green Tea) Perfume, Bvlgari Extreme Perfume, Bvlgari White, Bvlgari Omnia Perfume, Omnia Crystaline, Petits & Mamans Perfume, Aqua Pour Homme Cologne, Bvlgari Cologne, Bvlgari Black Cologne, Bvlgari Blv Cologne, Bvlgari Blv Notte Cologne, Bvlgari Eau Perfumee (Green Tea) Cologne, and Bvlgari Extreme Cologne etc. Launched by the design house of Bvlgari in the year 2010. This woody fragrance has a blend of lotus, bergamot, violet leaf, white pear, vetyver, sandalwood, amber, cashmere wood, cypriol oil, benzoin, musk, tonka bean, white honey, and woodsy notes. Launched by the design house of Bvlgari in the year 2011. This woody aromatic fragrance has a blend of amber, vetiver, cardamom, pink grapefruit, and calabrian bergamot. Launched in the year of 2010. It is a oriental woody fragrance for men. It possesses a blend of lotus, bergamot, violet leaf, vetyver, woody notes,sandalwood, cashmere wood, benzoin, white honey, amber, and musk. Launched by the design house of Bvlgari in the year of 2001. This woody, spicy fragrance has a blend of cardamom, sandalwood, ginger, galanga, juniper, teak wood, tobacco blossom, and green leaves.